For a surprising number of business-to-business (B2B) companies, marketing strategy has historically been treated as an afterthought. The theory that the right product will 'sell itself' to the market has been commonly accepted practice among many technology-driven firms, and those in professional services have often assume that 'my reputation precedes me' and little else should be necessary. Today, nothing could be further from the truth, and the time to aggressively plan and execute an effective marketing strategy is now. Business growth in the B2B sector today requires a highly focused and aggressively implemented approach to strategic marketing. Without it, rapid growth is simply not possible or sustainable. One of the first steps you as CEO can take to strengthen marketing is to adequately assess your current strategy and marketing program, then benchmark it in light of new opportunities and possibilities. The challenge is that evaluating your marketing strategy requires specialized expertise and the benefit of an outside perspective. The StrategyFirst Action Assessment is an efficient but carefully planned evaluation that can be performed in as few as 30 days. It is focused specifically on preparing to drive new revenue growth in your business. Every assessment process is unique, just as every business is unique. However, at its core the StrategyFirst methodology works because it is rooted in a series of key factors that can guide future efforts to grow marketing impact and sales success. The foundation of your strategic marketing plan begins with the business strategy for the company. On that basis, we then need to assess and understand the nature of the current marketing strategy as it aligns with your growth goals. What target markets are you serving today, and how have they been selected? What buyer personas are you focusing on and how tailored or specific is your strategy for serving those segments? How well have you developed, benchmarked and maintained a clear competitive assessment and position for your firm? What messaging strategies and platforms are being employed? How has the marketing mix and execution budget you presently use been developed and managed? What metrics and measures are used to assess marketing effectiveness? Is your company appearing prominently in your industry or target markets/geographies as a thought leader and innovator? How well aligned are your marketing and sales teams and their respective strategic plans? The value proposition of your company is the cornerstone upon which your ability to grow clearly rests. without a clear value proposition, you have no meaningful basis for achieving and sustaining growth. With a clear value proposition -- one that is actively identified, enhanced, protected and adjusted to respond to market conditions -- you can stay ahead of the curve and maintain your edge in the market. How well defined are your differentiators, and are they 'baked' in to the DNA of your products or services? Have you performed a customer value assessment to determine how they evaluate and recognize value among options and selections? What market opportunities have been identified or reviewed to support business growth? How well have you positioned your message-to-market and how do you package your 'corner' in the marketplace? What emerging trends and new players threaten to destabilize or disrupt your market segment or position? How can product and service innovation -- through new designs, new solutions and new strategies -- extend your competitive lead? Developing and executing an effective brand strategy and identity begins by recognizing that your company's brand consists of the impressions, experiences and understandings that your brand stakeholders (customers, employees and partners) develop about your business, and the conclusions they reach on that basis. You can influence these conclusions, but you do not control them. Therefore, brand strategy must integrate a series of key elements. What is your brand vision, and how well understood is it among your brand stakeholders? What brand promise, or strategic cornerstone, does your brand stake out? Does your brand clearly communicate your value proposition and competitive differentiators? What is your brand positioning statement, and is it supported by your product or service architecture? What messaging platforms are you using to communicate your brand clearly? How does this relate to your brand's visual identity, business and/or product naming system, taglines/value statements and communication channels? Do these elements reflect your business model and ability to execute accurately for your target market(s)? In the business-to-business market, the true value of effective B2B social media programs is widely misunderstood. Social media represent not so much publishing platforms, but rather stakeholder engagement opportunities. How has your company developed or defined its social brand? What content components -- blogs, videos, podcasts, webinars, infographics -- are you consistently developing and delivering? What platforms are you using to achieve digital engagement, from the 'big three' (Twitter, Facebook and LinkedIn) to Google+, YouTube, Vimeo, SlideShare, Pinterest and additional business-specific communities such as AmEx Open and ExploreB2B? How are you managing your social channels and achieving integrated impact that results in new relationships? What training and planning methods are you using to benchmark and drive your social media strategy? Digital communication is the cornerstone of effective B2B marketing today. Today, digital engagement takes place across many platforms and in many formats incorporating web, video and mobile marketing. Business strategies and goals must be at the heart of your digital strategy, beginning with your business website. Is it organized to draw your target buyer personas into specific, tailored content? What calls-to-action (CTAs) and donwnloadable content offers do you present to your users? Is the user experience integrated with your brand strategy and identity effectively? What strategies are you deploying for mobile access: platform-specific apps, web apps or responsive site design? Are you leveraging design and content to take advantage of the use of smartphones and tablets by your customers, prospects and sales team? What inbound marketing programs have you deployed and what metrics are you using to track and evaluate their performance? Are you using online video to create and strengthen relationships with prospects throughout your marketing and sales channels? What resources are you using to integrate social, mobile and email marketing to create higher lead conversion rates? In order to evaluate these five critical components in marketing strategy, we utilize a range of proven marketing assessment methods. These include direct research and dialogue with key personnel; a marketing communications audit; an assessment of your buyer personas; review of your website content management system (CMS) and marketing automation systems; brand strategy benchmarking; a walkthrough of your lead nurturing workflows; social media analysis; a marketing user experience review; and competitor benchmarking. Our goal is to look both inside and outside your business to create a realistic picture of what is and is not working in marketing today; what options and actions can lead to the best short-term improvements; and what pathways and strategies can drive long-term growth. In addition, every StrategyFirst assessment includes an opening and closing strategy meeting exclusively with the CEO, and a midpoint workshop with key executive team members, focused on the strategic questions at hand. By taking one month to focus on marketing strategy (or six weeks to examine both sales and marketing together) in your business, you can position your company to achieve successful and sustainable growth. The StrategyFirst Action Assessment will provide you with specific benchmarks and findings; a clear roadmap for moving forward; a summary action plan you can begin using right away; and recommendations for strategic decisions or opportunities that can guide your overall growth. Client results include increased market awareness through better messaging; stronger competitive positioning in sales cycles; wider engagement with key influencers to generate leads; clear differentiation that supports the sales team; and more leads and impact from marketing efforts. If you're ready to achieve greater marketing results for your business and see lasting revenue growth to come, contact Wendt Partners and take the next 30 days and learn how to reach those objectives through the StrategyFirst Action Assessment for Marketing. 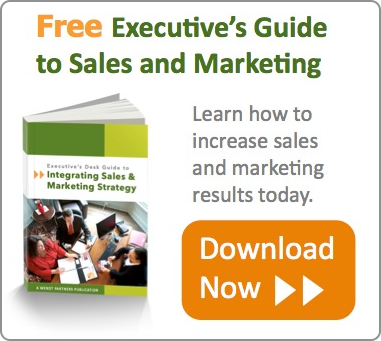 Want to learn more about how sales and marketing integration can lead to better results for your business? 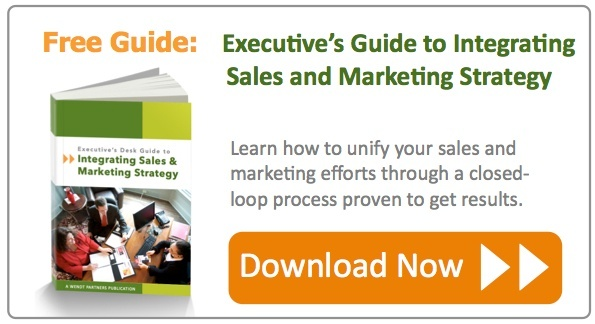 Download the guide below and educate yourself on key methods and strategies that can drive your sales efforts forward.